Please note, the Surrounds Summer Social street carnival has been moved to Saturday the 9th of March due to Cyclone Oma. Pencil the new date in your diary for a night of free entertainment, food, drinks and a spectacular firework display from 5pm Saturday 9th of March. Its an event not to be missed! The Surrounds at Helensvale will come to life with its second annual street carnival – The Surrounds Summer Social. 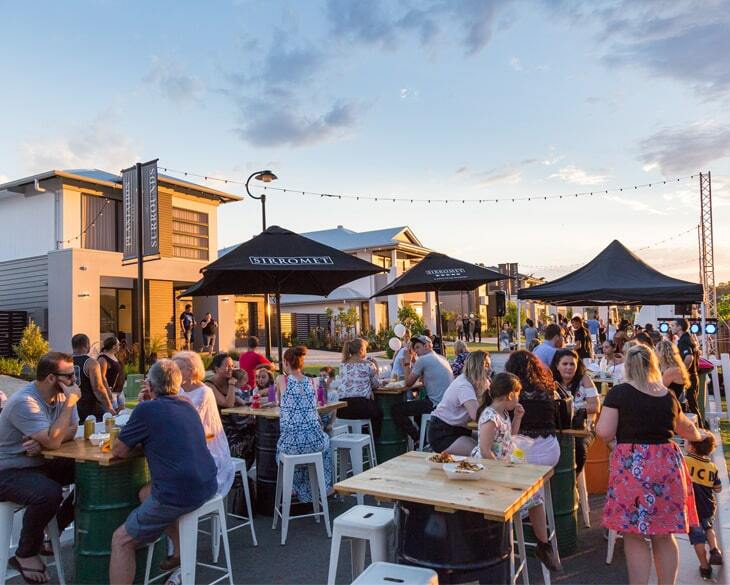 Villawood Properties are partnering with the team behind NightQuarter, to deliver a night of food, fun and fireworks. The event will also be NightQuarter’s final hurrah in Helensvale. Join us for a family friendly evening, featuring free entertainment, live music, food trucks, summer cocktails and a spectacular fireworks display. Visit thesurrounds.com.au for more information about the event.